How adorable! A great baby girl card. Adorable baby card. Love the cute pink elephant. What an adorable little ellie with her pink bow Nanc! 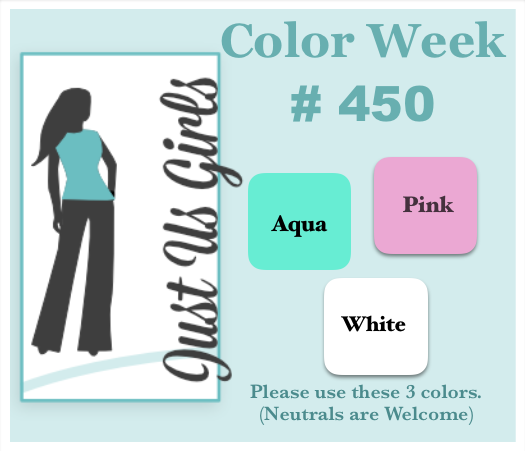 Such a sweet baby girl card using this weeks colors! This is just too cute! I love your sweet little elephant sitting on the polka dot label and the baby blocks are the perfect addition for the sentiment. Love your soft striped background paired with all of the polka dots! This baby card is impressive. One type of card that I have to rarely make. Most of my friends and family are way past that stage. Every once in a while I have the need for one. I am going to pin this one for future reference. I think it fits [erfectly for a baby girl. Sweet as and so adorable. Just love that image and super layout. Nancy, this is just so sweet. Love it. Have a safe trip home today. It was so great to spend the day with you on your visit. ACK! Look at that baby ellie! An absolutely charming, adorable card to welcome a new baby! How sweet! Your little pink elephant is adorable! Two words: totally adorable! OMGosh this is so stinking cute! 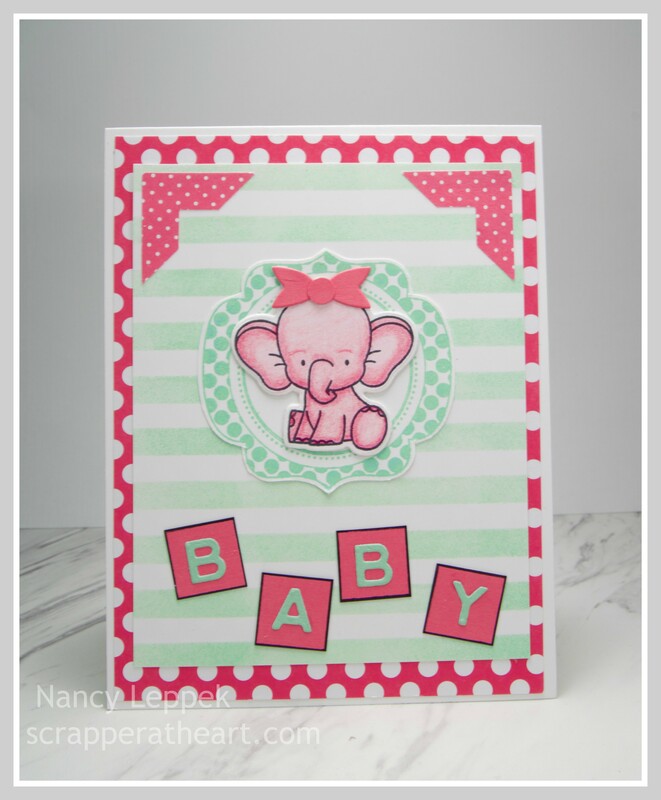 Such a sweet baby card, Nancy, and I could never tire of those darling elephants.